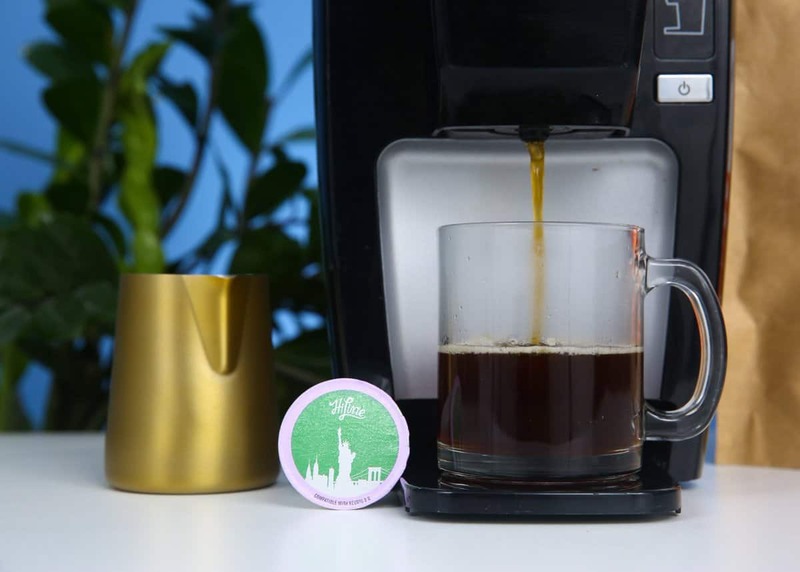 Home » HiLine Coffee Review: The Best Alternative to Nespresso and Keurig Coffee Capsules? HiLine Coffee Review: The Best Alternative to Nespresso and Keurig Coffee Capsules? They say the two great inevitabilities in life are death and taxes. For me—and many of you, I’m sure—a third inevitability exists in the plain, simple, incontrovertible fact that there will be coffee! Every morning. Every day of the week. And not just any old coffee, but the best coffee my money can buy. It’s like the 11th commandment. Or the amendment from the Bill of Rights that was so darn obvious they didn’t even think to write it down. But with such inevitability there comes a problem: predictability. As a lover of variety and nuance, I like to mix things up a little and savor all of life’s manifold flavors, and never more so than when it comes to my coffee. Being of such a disposition, therefore, I tend to feel a little hemmed in whenever restricted in my choices, particularly when these are imposed by compatibility issues with my coffee maker and the brand’s own limited flavor options. Owners of Nespresso or Keurig coffee makers will surely know my struggle only too well—while their range of pods is passably good, sometimes some of us find ourselves involuntarily breaking into impromptu renditions of Queen’s I Want to Break Free when clicking yet another capsule of the same old brew into our coffee machines. For this reason, I count my blessings whenever I should happen to discover a new kid on the block with as much to offer my (admittedly very needy) taste buds as HiLine Coffee. HiLine Coffee Company is an online retailer that sells beans, ground coffees, accessories, and cold-brew coffees, but it’s HiLine’s range of Nespresso and Keurig-compatible coffee pods that most captured our attention. Read on to find out how these pods measure up compared to their Nespresso and Keurig-made competitors! Is HiLine Coffee an ethical retailer? So, just how is this Darwin-Award-worthy mistake made? Well, for the most part, it goes something like this: we scan the results of our Google search, see “Nespresso compatible” or “Keurig compatible”, grin widely, choose our flavors, and then head swiftly onto the payment confirmation page. For a day or so, all in the world as well. We look at our dwindling supply of pods without fear or apprehension, knowing that a brand spanking new batch of caffeinated goodness will be arriving shortly. Then comes the kicker, the unforeseen plot twist that has us believe it’s time to retake that IQ test and possibly return our degrees and high school (and possibly even grade school) diplomas: we got the wrong ones. Wondering how the heck it could have happened we return to the scene of the crime, where we discover not one, but two, or even three varieties of a machine, each with differing pod shapes and sizes. Humbled, we reorder the correct pods, traipse down to the local supermarket to pay over the odds for a pack of some humdrum generic roast keep us going until our new, compatible pods arrive. The take home? Haste ye not, fellow coffee-lover! When ordering, take that extra minute to ensure your prospective pods’ compatibility with your machine. If necessary, enlist the help of spouses, siblings, co-workers, or offspring to double check. For almost all of us, taste takes priority over all other factors when choosing our coffee. Given the choice of a slightly pricier coffee that tastes capital-A Awesome or a cheaper one that falls into the nothing-to-write-home-about category on the taste front, we’ll bite the bullet and plump for the pricier option, savings plans are damned! But how do we know our extra expenditure is going to buy us a product that’s worth it? Well, there are two ways of looking at it. First, we can risk taking the word of online reviewers and fellow coffee lovers, buying based on their recommendations or 5-star ratings. Given that our palates are all diversely disposed of, however, this might not be the best strategy. Which leaves option number two: the Leap of Faith Method. Sure, this approach to sourcing can be a bit hit and miss and entail some trial and error before finding a roast that ticks all the boxes but, as with all things in life, if you don’t give it a try, how are you to know? A more clear-cut factor for consideration when buying our coffee is how the coffee is produced. None of us, after all, would be too happy or fully enjoy the coffee in our cups knowing those responsible for its production were working for negligible wages, in poor conditions, or that the plantation’s farmers take a lax approach with regard to environmental ethics. 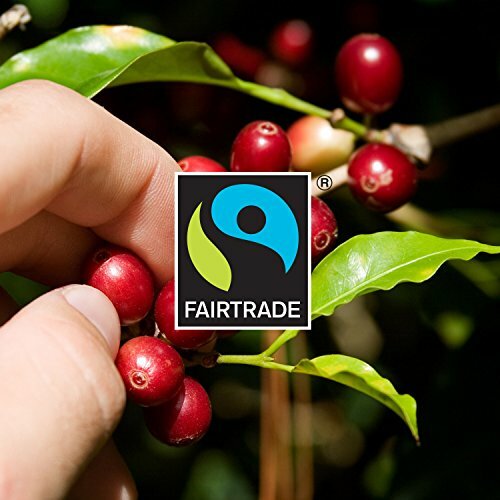 To make sure you’re not inadvertently supporting unethical production practices, look for the Fair Trade, Rainforest Alliance, and/or Certified Organic logos on the landing page of your would-be bean seller before buying—if it isn’t there, then the chances are it’s because the retailer falls short of the criteria and standards required for certification. HiLine is a small coffee company based in New York. 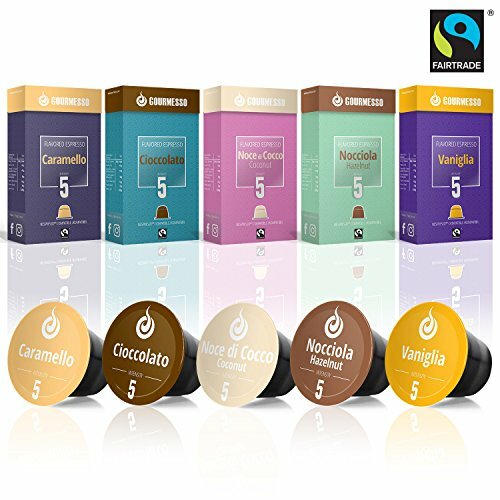 Founded in 2013, they’ve taken great strides in a very short time and established their brand as a serious competitor to Keurig and Nespresso in the coffee-capsule market, making compatible pods that offer a fresh alternative with reams of variety and novel flavors. The HiLine story began in New York in 2013, when the company’s co-founder Gene Kakulin discovered one morning that he’d used up the last of the capsules for his Nespresso machine. Rather than face the morning coffee-free, Gene filled an empty capsule with ground coffee, improvised a top with aluminum foil, and brewed his DIY capsule in his Nespresso machine. Not only did he save himself the hassle-slash-horror of confronting the world uncaffeinated, but also discovered that his own, makeshift pod was, in fact, tastier than the branded Nespresso capsules he’d been using all along. It didn’t take him long to have his Eureka moment and act on it. Within a year, HiLine was up and running and today, only six years down the line, HiLine Coffee Company is one of the leading alternative capsule makers for Nespresso and Keurig coffee machines, with annual revenue in the region of $2 million. The thing that sets HiLine Coffee apart from most big-name brand retailers is their production method. While many of those household-name brands roast the coffee used in their capsules weeks or even months before they hit the shelves, HiLine roast their coffees immediately before shipping them out to you, the buyer. 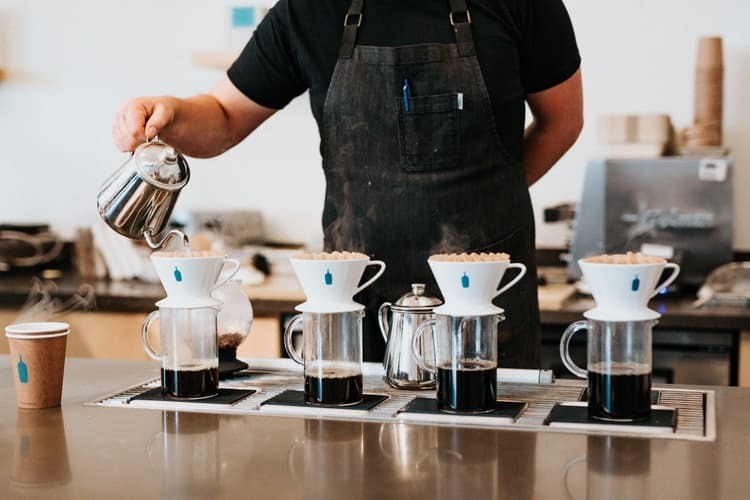 This practice not only makes you feel kinda special but also means that your coffee will be extra fresh when it arrives and you’ll have more time to enjoy it while it’s at its best. Another factor giving HiLine the edge on the flavor front is their very discriminating and expert sourcing. HiLine’s beans are sourced from a variety of small plantations in regions as diverse as Africa, Latin America, Hawaii, and Southeast Asia. All of these plantations have one thing in common: altitude. Although not an exact science, empirical results have shown over the years that at high altitudes coffee beans grow more slowly due to harsh conditions and, as such, have more time to develop complex sugars. Coffees grown at lower elevations, on the other hand, tend to have a more bland taste and less of the vibrancy of their high-altitude equivalents. Although you won’t find “Certified Organic” logos on HiLine’s products, this is because the small plantations from which they source their coffees simply don’t have the same resources required to gain the recognition enjoyed by many larger coffee farms. 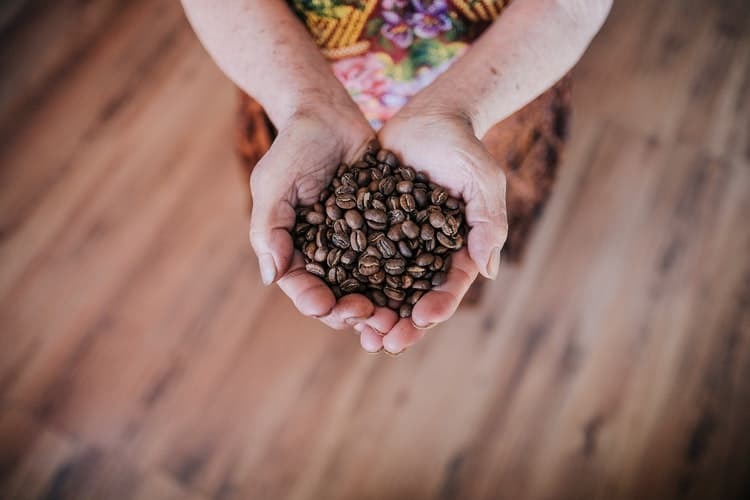 For the most part, however, the coffees in the HiLine lineup are Fair Trade and Rainforest Alliance certified and grown with care for both the environment and the farms’ employees. HiLine’s policy of buying from small-lot farms also means that they bring jobs to smaller communities whose economies often depend almost exclusively on their trade. 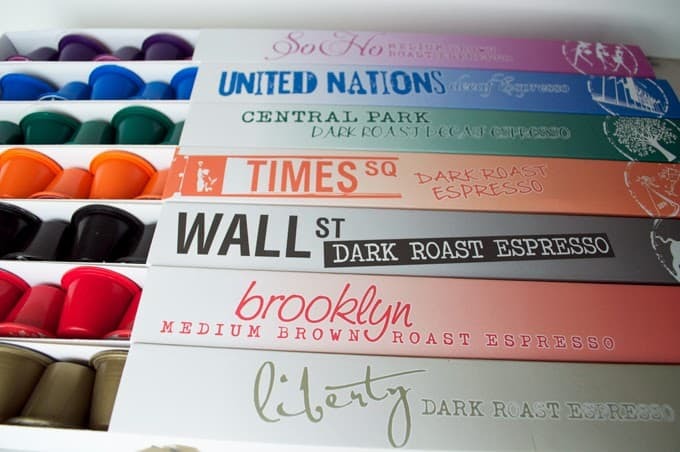 HiLine’s Nespresso-compatible range includes, at the time of writing, twenty flavors. While this variety is impressive, what really wins our vote is the price point. Sold in boxes of 20, each HiLine capsule costs in the region of 60 cents per capsule. Compare that to Nespresso OriginalLine’s 75 cents per capsule and you have a saving of $109.50 per year if you drink two cups per day from your Nespresso coffee machine. Not bad, right? More importantly, this decrease in price in no way translates into a decrease in taste or flavor. HiLine’s policy or sourcing from high-altitude plantations, carefully selecting their producers, and roasting just before dispatching your pods means that each coffee in their capsule range is fresher and more full of flavor. Win-win. HiLine pods are compatible with both the original Keurig 1.0 and Keurig 2.0 machines (all models in the K200, K300, K400 or K500 range). While the variety of compatible pods for Keurig machines isn’t as impressive as that for Nespresso machines, HiLine still offers the coffee curious a total of twelve alternative flavor options. 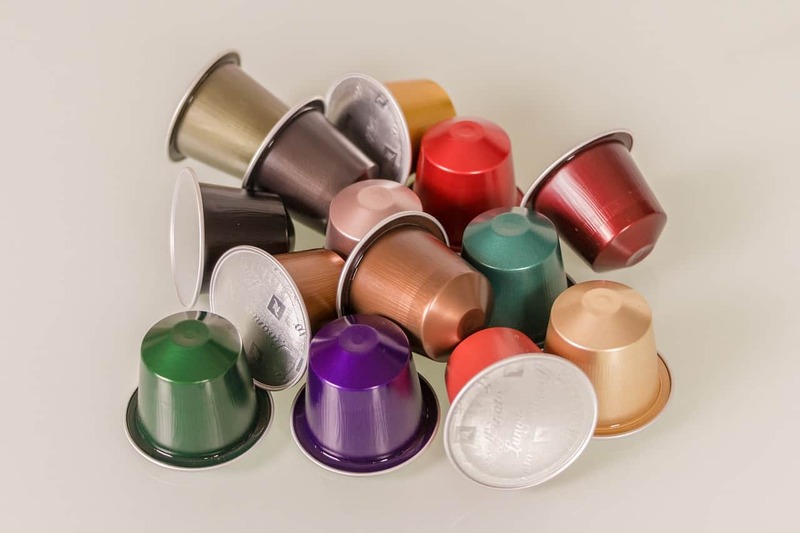 The main difference between HiLine’s Nespresso-compatible capsules and its Keurig compatible capsules, however, is cost. While the Nespresso-compatible pods are sold in batches of 20, the Keurig-compatible pods come in packs of 10. This makes the price of a single Keurig-compatible pod a slightly unfriendly $1.10 per pod, which is a 40 cent per-pod hike on the cost of standard, Keurig-branded pods. If you happen to drink two cups per day from your Keurig machine at home, that equates to $292 more every year. Yikes! So, does the price point of HiLine’s Keurig-compatible pods put us off? Ultimately, only you will know how much you are willing to pay for a delicious cup of coffee. And, to be sure, HiLine’s Keurig-compatibles are nothing short of superb on the flavor front. Still, on principle, that hefty increase in price might prove too much to stomach for some, particularly those looking for an everyday roast instead of specialty, gourmet-style flavors. HiLine’s whole bean coffees are sourced exclusively from El Salvador, New Guinea, and Ethiopia. As with the capsule coffees, HiLine’s whole bean coffees are roasted right before dispatch for enhanced freshness and are more than a match for their big-brand competitors in the flavor stakes. First impressions count. Many first-time buyers of HiLine’s ground coffees have a bit of a WTF moment when opening their parcel and discovering that their ground coffees come in individually wrapped single serving packs. I’ll confess that I, too, was not overly amused at first. A couple of brews down the line, however, I was converted, and I imagine many of you will be too if you give them a try. Not only does this packaging method prevent waste and help to ensure your coffee is as fresh as possible, but it also keeps things nice and clean—much more so than when using loose grounds. 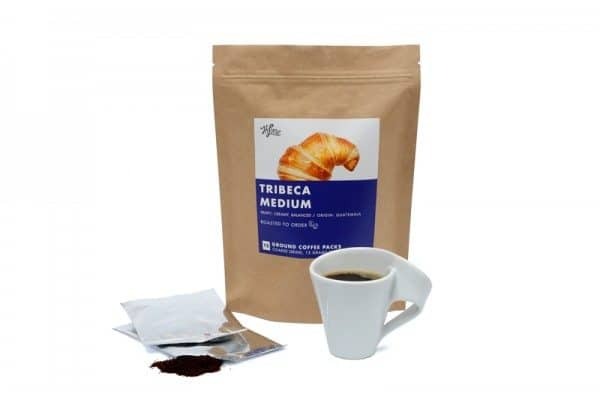 We’ve all been well schooled in the fact that coffee loses its freshness and flavor the moment it is exposed to ambient air, so the packing method employed by HiLine in their ground coffee range makes sense. And, as far as I can tell, it’s also highly effective. Unless you are grinding your own beans just before brewing, this setup makes your coffee as fresh as you can get. HiLine’s ground coffee range comprises three varieties, all of which sell for $13.99 per 12 single-use packs. HiLine’s cold-brew packs come in a similar format to those used for their ground coffees. Each order contains 4 individual pitcher packs that are designed to be brewed in cold water and each makes 16 fl. oz. servings. The only cold-brew variety currently on offer is Gramercy Park, a balanced, naturally sweet, rich, and ultra-smooth cold brew. 1. How does HiLine source its coffee? HiLine has partnerships with farmers and importers in Latin America, Africa, and Southeast Asia who specialize in high altitude, small-lot coffees. HiLine offers free shipping on orders over $50 and charges a flat fee of $5 fee for orders under $50. 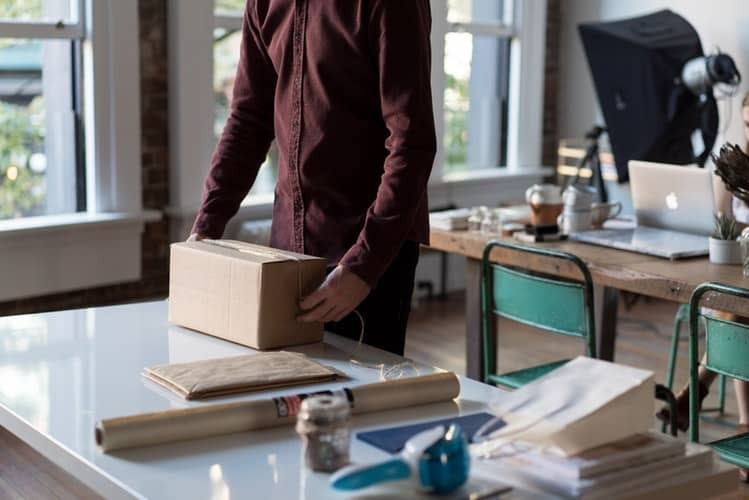 Because HiLine is based in New York, shipping to addresses on the East Coast takes around two days. For addresses elsewhere in the US, it can take up to 4 days. 4. What are the amount of coffee and the caffeine content in the Nespresso-compatible HiLine Capsules? All of HiLine’s Nespresso-compatible capsules contain 5-5.5 grams of coffee with a caffeine content of 60-70 mg per capsule. The decaf pods each contain roughly 1 mg of caffeine. 5. With which Nespresso machines are the capsules compatible? HiLine’s capsules are compatible with all OriginalLine Nespresso machines, including the Citiz, Essenza, Maestria, U, Le Cube, Inissia, Latissima Plus, and Pixie, but are not compatible, at the time of writing, with the Nespresso Pro, Miele, VertuoLine models or Nespresso’s commercial-grade machines. 6. With which Keurig machines are the HiLine capsules compatible? HiLine pods are compatible with Keurig and Keurig 2.0 machines but not the Keurig Vue or Keurig Rivo. 7. How much coffee and caffeine is in each Keurig-compatible pod? Each pod contains 12 grams of coffee and 100-140 mg of caffeine. 8. What are the pods made of? HiLine’s pods are made of 100% recyclable, food-grade polypropylene and do NOT contain BPA, phthalates, or toxic halogens. 1. How many grams of coffee are in each pack? Each HiLine Coffee pack contains 15 grams of premium roasted and ground coffee, which is enough for one or two cups. 2. Are the coffee packs easy to use? Yes! All you have to do is open the pack, place it in your machine and then brew. The packs make life easier by saving you the hassle of frequent cleaning and grinding your own beans. 3. Which coffee makers are compatible with HiLine Coffee Packs? HiLines coffee packs work with French Press, Moka Pot, all Drip makers, Chemex, AeroPress, and Percolator. Tip: be sure to choose the appropriate grind when you add the coffee of your choice to your shopping cart. 1. How much coffee is in each bag? Each bag contains 1 lb of beans, which is roughly 30% more than the normal quantity sold in supermarket bags. If we were, to sum up, HiLine coffee in a single word, that word would be freshness. For anyone used to buying from the supermarket shelves, the first thing that will strike you when trying any HiLine Coffee product is that they pack a whole lot more flavor than anything you’ve ever tried. By roasting just before posting and even packaging their ground coffees in individual packs, HiLine goes above and beyond in the pursuit of bringing you the perfect cup. And by sourcing from small-lot suppliers whose farms are located at high altitudes, HiLine is able to bring us coffees that are not only unique in profile but carry a far less generic, mesh-type profile and character than the coffees we buy from big-brand retailers. 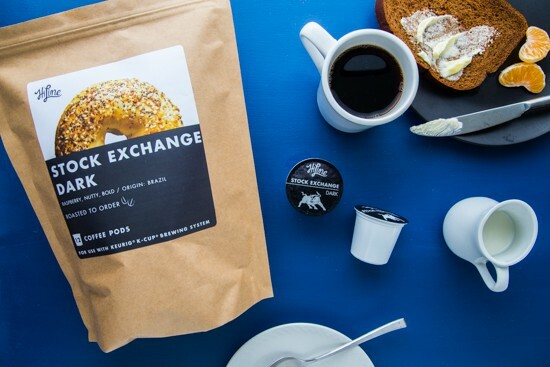 While the Keurig-compatible pods won’t save you money, they at least offer you the opportunity to change up your coffee menu by introducing some truly delicious alternatives. The Nespresso compatible pods also have the ‘truly delicious’ box well and truly ticked, but bring the added bonus of costing a lot less per pod than standard Nespresso capsules and coming in a wide range of flavors, none of which is anything less than exquisite. In short, if you prioritize flavor and freshness in your coffee over the name on the pack, get online and grab yourself some HiLine—your taste buds will thank you for it! Illy vs Lavazza [2019 UPDATE]: Which is the Better Coffee Brand? Kieran James Cunningham is a connoisseur of all things caffeinated (and the occasional decaf, too…). His dedication to the pursuit of the best beans and an ideal cup of “brown” out there verges on fanatical and makes the efforts of Captain Ahab seem somewhat tame. As you read this profile, the chances are he’s sipping on a cup of something Sumatran and pondering whether to make the next one a Kona or Mayagüez.